I was going to wait 6 month to post this dish. I guess *waiting* is not my virtue. I thought this dish was so perfect for spring. You know, spring and the sprouts… Well, I couldn’t wait. It was so good that I wanted to share with the whole world right now – in the middle of autumn. The food itself I had at the restaurant wasn’t that impressive but there was one particular side dish that I really enjoyed. 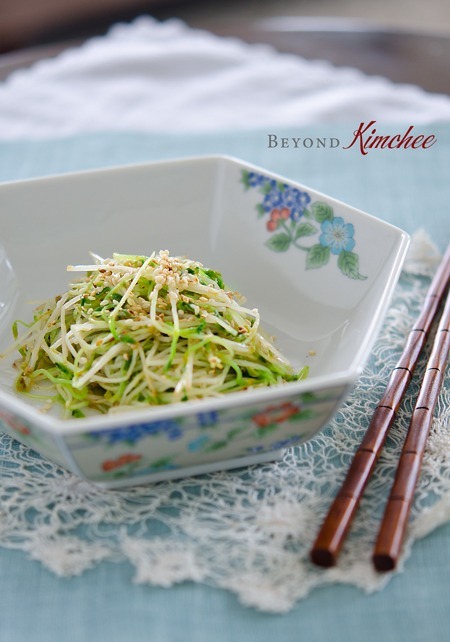 It was this sauteed pea sprouts. I think I ate at least two dishes of it by myself. 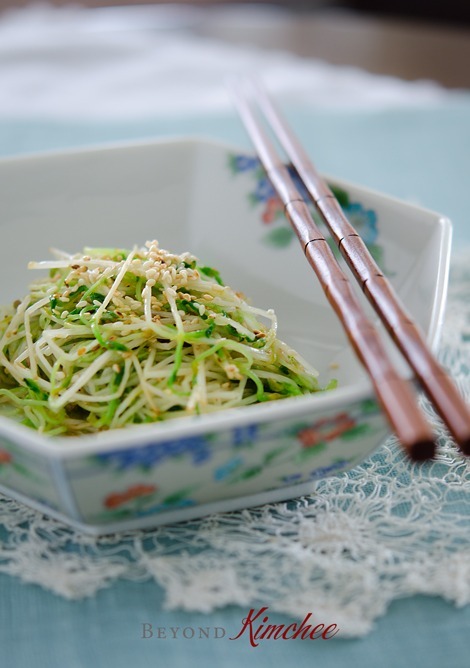 The simple and subtle flavor seasoned with sesame oil and sesame seeds, it was an Asian way of eating sprouts at its best. 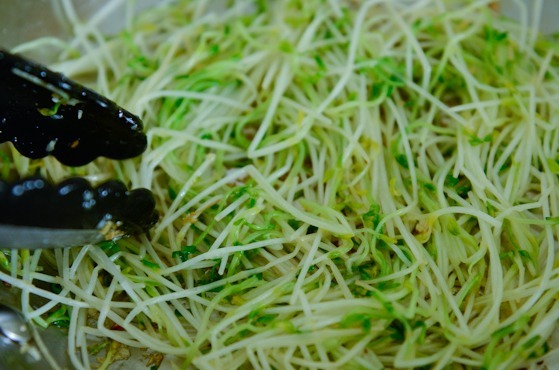 Pea sprouts are generally used in salads as raw. But unless you are a Peter rabbit, you can only eat so much of them when raw. 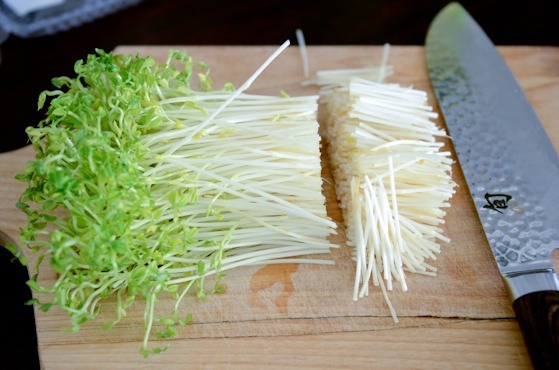 Try saute them very quickly in a little oil, and flavor with sesame oil and toasted sesame seeds. I cut off the bottom 1 inch because I tend to chop things on the bottom of any veggies. Heat 2 teaspoon oil and add minced garlic. Stir for 10 seconds to release their fragrance. Add the sprouts and saute until they just wilt. Season with a couple of pinches salt. 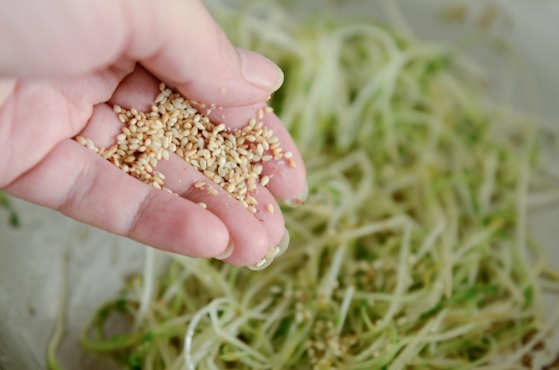 Drizzle a little sesame oil and toasted sesame seeds and toss together. That’s it! 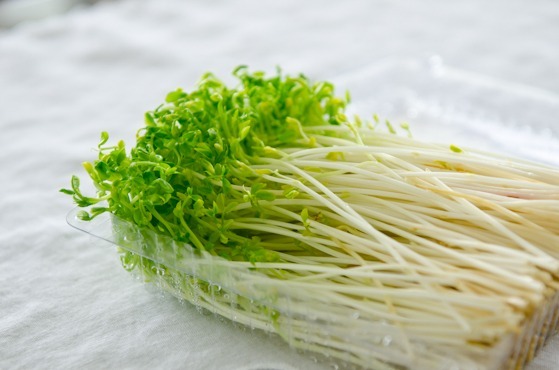 Give this a try if you find pea sprouts. You will love it. I can’t believe it is already October. Where did all my days of 2012 go? Well, things like this give me a headache. So I better not to think too much. Hope your October started beautifully. Heat oil in a skillet over medium heat. Add garlic and stir for 10 seconds. Add the sprouts and saute until they get wilted, about 30-60 seconds. 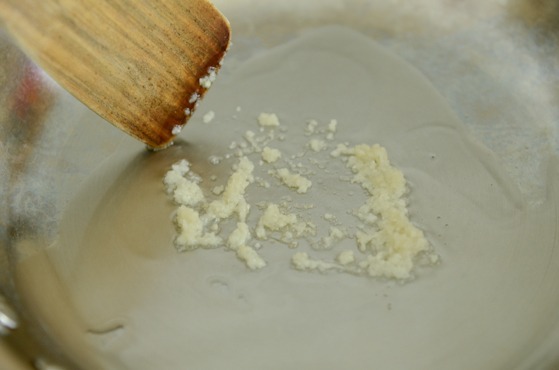 Sprinkle salt to season, toss and remove from heat. Add the sesame oil and sesame seeds, toss to coat well. Holly, you have the prettiest / most attractive props for your photos, so appropriate for the dish. I am staring at the foodstyling aspect as much as the food itself :) love those chopsticks and the bowl. And yes, the best part about this dish is its simplcity. 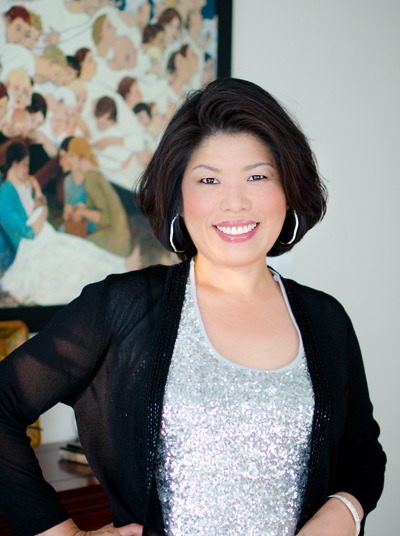 Thanks, Esther. The chopsticks are the kinds you see at many shops in Asia, and the bowl is almost 20 years old, a gift from my sister who used to live in Japan. It's spring in the southern hemisphere! Everyone there is digging this dish. I am, too. Very pretty and a wonderful recipe. Really nice. But like you, I can barely believe it's already October! Yum! I love pea shoots (are they the same as pea sprouts?) 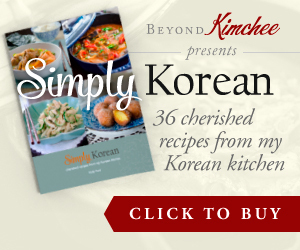 and now I'm so glad to have a Korean recipe for one of my favorite vegetables. I'll be producing a banchan before I know it! I think they are the same. 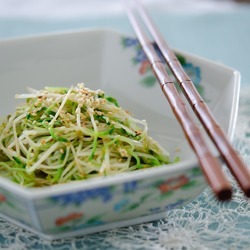 I like Chinese way of cooking sprouts, too. Very delicious.